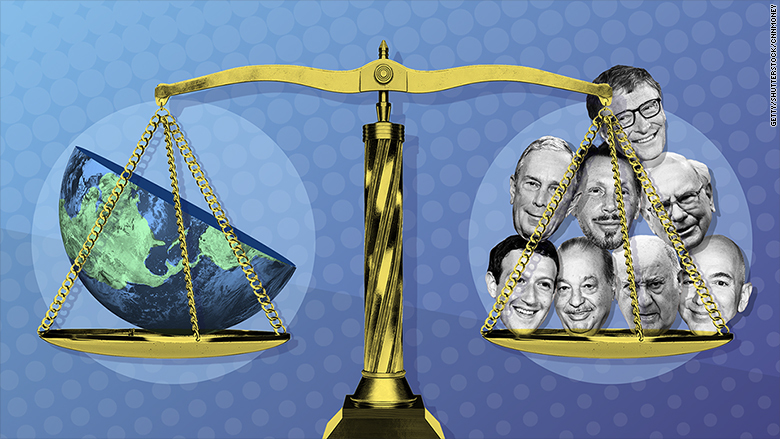 The men -- Bill Gates, Warren Buffett, Carlos Slim, Jeff Bezos, Mark Zuckerberg, Amancio Ortega, Larry Ellison and Michael Bloomberg -- are collectively worth $426 billion, the anti-poverty group said on Sunday. "Such dramatic inequality is trapping millions in poverty, fracturing our societies, and poisoning our politics," said Paul O'Brien, Oxfam America's Vice President for Policy and Campaigns. The release of the group's annual inequality report coincides with the World Economic Forum in Davos. 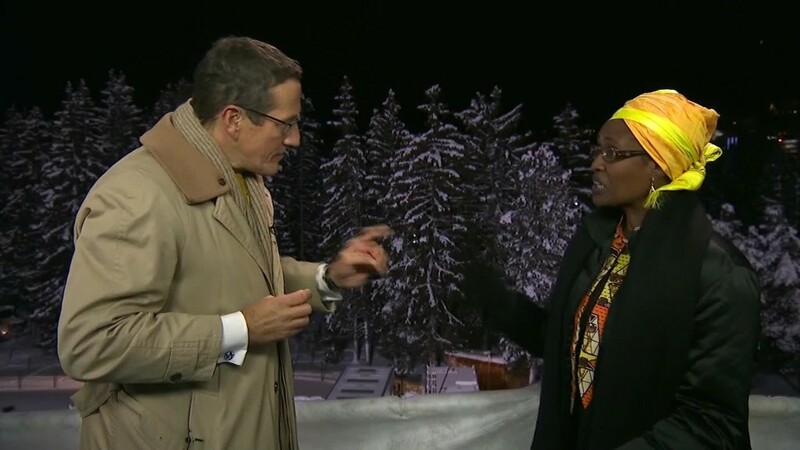 The annual meeting in the Swiss mountain resort brings together political and financial leaders and some of the wealthiest people in the world. Eight men now control as much wealth as half of the world's population. The Oxfam report said that the richest 1% has owned more wealth than the rest of the planet since 2015. In the U.S., the richest 1% control 42% of the wealth. The study draws from Forbes' annual list of billionaires and Credit Suisse's Global Wealth Databook. It has been four years since the WEF identified rising economic inequality as a major threat to social stability. But Oxfam said the problem is just getting worse. "Despite world leaders signing up to a global goal to reduce inequality, the gap between the rich and the rest has widened," it said. The report said that seven out of 10 people live in a country where inequality has worsened over the past three decades. And over the past 25 years, the top 1% has gained more income than the bottom 50% put together. "Far from trickling down, income and wealth are being sucked upwards at an alarming rate," the report said. There's also a big gender disparity. Of the 1,810 dollar billionaires around the world, 89% are men.